Here is what we do know. Yesterday’s order permits DHS to imprison mothers and possibly also fathers with their minor children together in existing family detention centers – in Dilley, Karnes, and Berks – in addition to one of several military bases that have been proposed by the government. Apart from the fact that a military base is not an appropriate setting for vulnerable asylum seekers who have just endured a perilous journey to the United States – and certainly not for children – at least one of the proposed sites is located in a remote location, hours from the nearest large metropolitan center. This would keep asylum seekers far from pro bono attorneys and experts who can help them win their cases. The order offers no recourse to the over 2,300 children who have been ripped from their parents at the U.S.-Mexico border in the past several weeks. Many parents – who were criminally prosecuted shortly after crossing the border – have since been deported from the United States, without their children. Many parents have reported that they have not been given any information about their children’s whereabouts. The Trump administration has a logistical nightmare on its hands and does not appear to be taking any meaningful steps to address it. Even further, the Washington Post is reporting that the Border Patrol announced it would stop referring parents arriving with their children for prosecution until DHS can find additional detention space. DOJ immediately attempted to clarify stating that the “zero tolerance” policy, where DOJ prosecutes all unauthorized border crossers referred to them for the crime of unlawful entry by DHS, remains in place. It is possible both statements are correct because DOJ cannot prosecute someone unless the person is referred to DOJ, but this will likely be clarified in the coming days. Wednesday’s order will soon run into legal problems as the White House does not have the power to unilaterally dismantle the Flores Settlement Agreement, a 30-year old legal agreement which governs the detention and treatment of immigrant children held in government custody. The government has asked a federal court to alter the Flores Agreement in fundamental ways – to allow children to be detained by ICE throughout their parents’ entire criminal and immigration proceedings; and to exempt ICE family detention facilities from state licensing requirements. Rolling back these Flores protections – though unlikely – would strip away meaningful legal protections and could lead to indefinite detention of immigrant children. 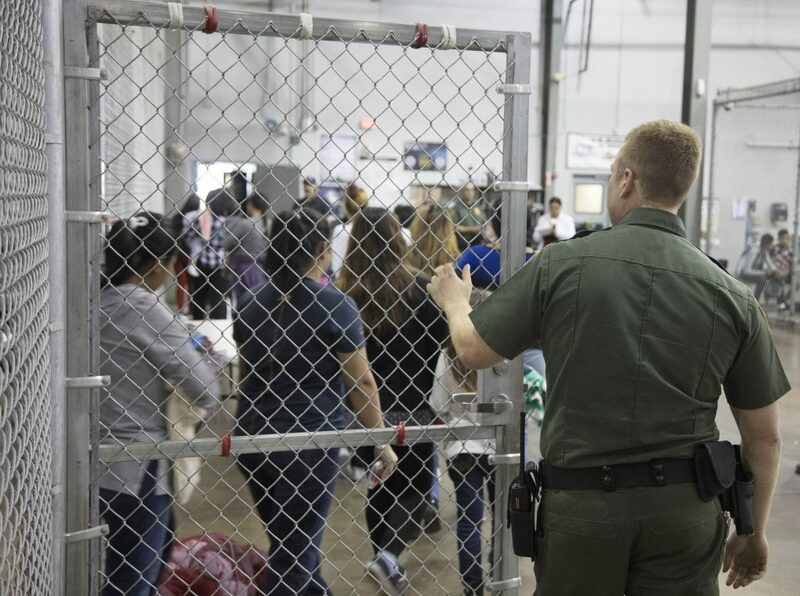 These family detention centers – recently termed “babyjails” by a member of Congress – are tantamount to prisons, where the families are not permitted to leave and have limited access to medical and mental health care. In the coming days and weeks, more of this will unfold. Even if the government stops its policy of prosecuting parents at the U.S.-Mexico border and separating the parents from their children, the practice of imprisoning larger numbers of asylum-seeking families is no better. This administration must cease its unrelenting attack on immigrant families.